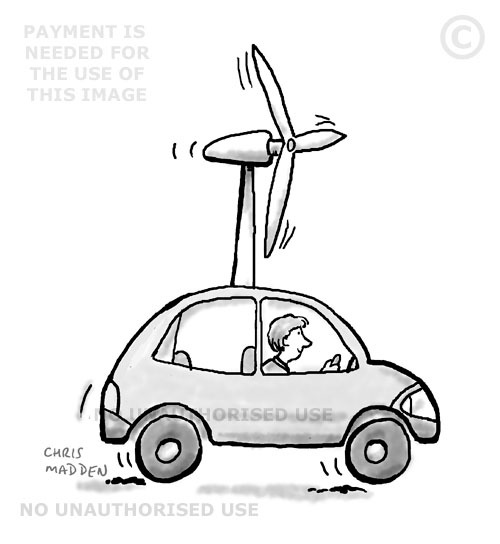 A wind powered car with a wind turbine on its roof. 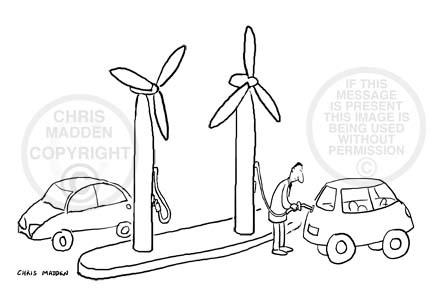 A cartoon about the environment, sustainability, transport, alternative energy. 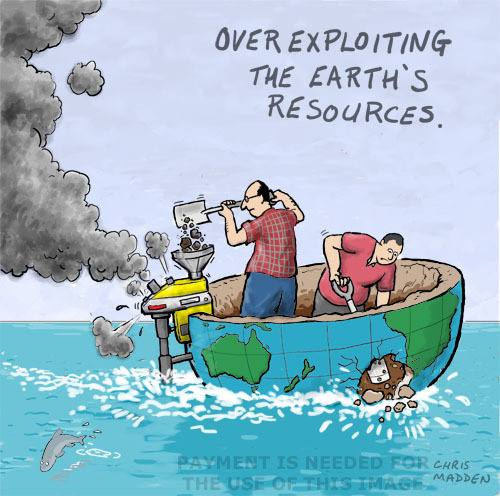 A cartoon showing people mining the earth’s mineral resources to an irresponsible extent. 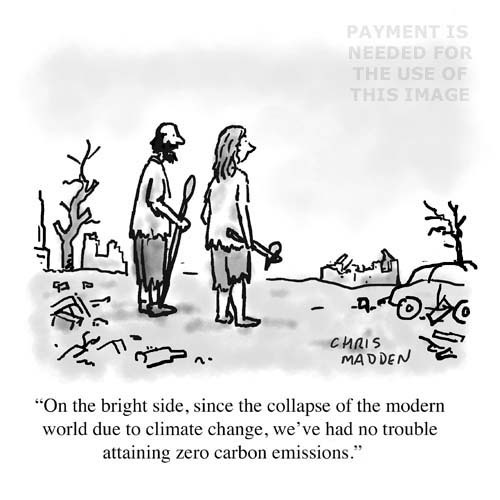 The cartoon about the depletion of the earth’s resources – and the possible dire consequences. The image shows the earth represented by a boat, with the people in the boat digging out so much of the earth’s minerals that they have made a hole in the bottom of the boat, meaning that it will sink. A cautionary image. 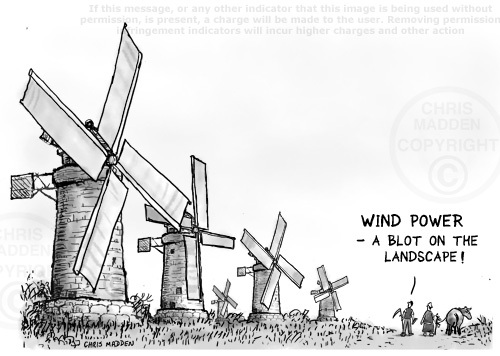 The cartoon uses the comparison between modern wind turbines and ‘picturesque’ Dutch windmills (or strictly speaking, wind powered pumps) to question whether wind turbines are a blot on the landscape. The illustration is in a style that resembles a 17th century Dutch landscape painting, as a way to imply that people’s attitudes don’t change. 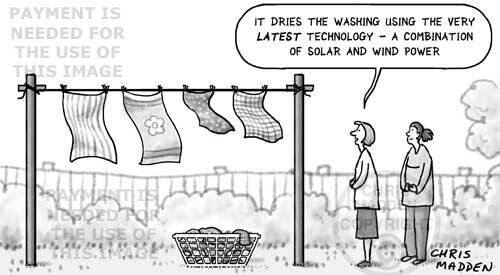 Environmental cartoon or illustration showing how to save energy by using energy efficient light bulbs and most importantly by using the OFF switch. 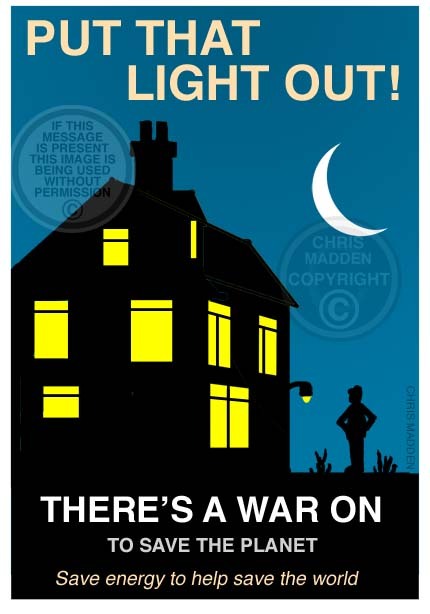 A cartoon encouraging people to save energy by turning lights off (rather than just by using low energy light bulbs). Fracking cartoon. What’s this fracking cartoon about? A cartoon about fracking. Fracking is short for hydraulic fracturing – a process in which water and sand are pumped at high pressure into rock strata, where the pressure fractures the rock, allowing the extraction of natural gas. The gas that is extracted by fracking is gas that is otherwise trapped in the rock and is difficult to extract. The rock is often shale – therefore the gas trapped in it is known as shale gas. The franking process is sometimes blamed for contamination of the water supply and for minor earthquakes in the vicinity of franking work. The cartoon about fracking draws attention to the unfortunate sound of the word franking, which is not only harsh and sounds like the process that it represents (onomatopoeia), but it also sounds like an expletive and can easily be appropriated by its critics (such as in banners proclaiming “Stop this fracking business”). The word fracking becomes an F word. 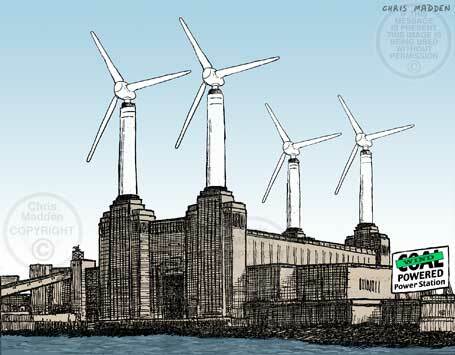 Environment cartoon. Cut down a tree with a chainsaw that uses biofuel? A cartoon about tree felling, deforestation, chainsaws, biodiesel,alternative fuel sources,ecology, ecological sustainability, environmentally sustainable energy use. 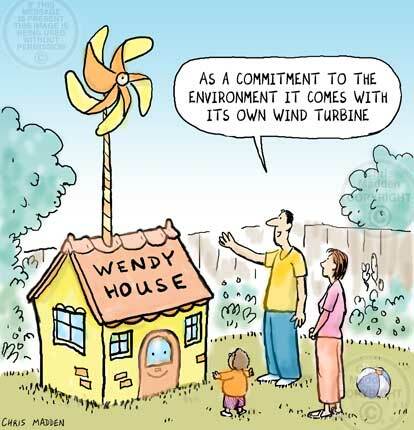 Wind power cartoon. Are wind turbines a blot on the landscape? A motorist on a crowded motorway complaining that wind turbines are a blot on the landscape or are eyesores. 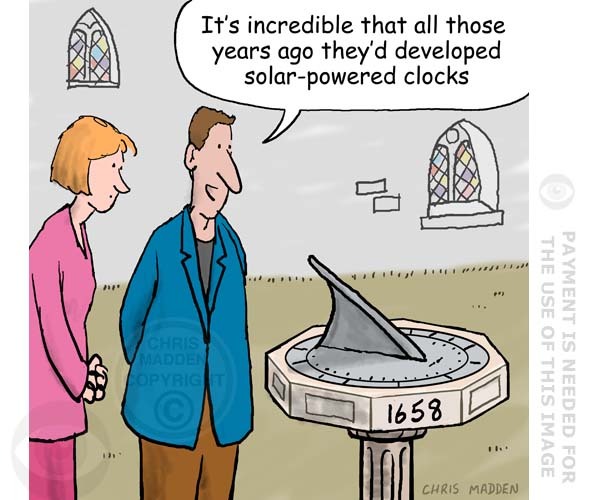 A cartoon or illustration about alternative energy supplies, fossil fuel dependency, natural energy, electricity supply, power generation, sustainability. How much land is needed to grow biofuels? A cartoon about fuel, gas, petrol, diesel, transport, sustainability, sustainable energy, cycling, bicycles, bikes, urban cycling campaigns, city cycle lanes.